Week of Mamás Blogueras is going strong and we couldn’t be happier with the stories these amazing women have posted. If you missed the first two entries in this series, you can click here and here to catch up. Today’s post is by poet and writer, Violeta García-Mendoza. Violeta and her husband adopted three children from Guatemala and have made a commitment to raise them bilingual and bicultural with strong connections to their heritage. So much to admire about this woman! You can find her blogging and writing at Multi-Culti Mami and Turn People Purple. Children who are adopted internationally, even as they gain a family, still lose another family and country of origin. Knowing this, when my husband (American) and I (Spanish-American) decided to adopt our three children from Guatemala, we committed ourselves to raising them in a way in which we would honor their hyphenated identity to the best of our abilities. So that they would not lose one more thing. So that they would be able to exist in their two countries and cultures (and in the in-between) ultimately (I know that the ups and downs are inevitable) with self-confidence. It’s a gift I think any adoptive family can attempt. When we had our children baptized, we chose one American godmother for them, and one Guatemalan madrina. Their madrina is a woman who we’ve known since we first traveled to Guatemala to visit our children during the adoption process. She is the woman who first taught me the word “pachita” (rather than Spain’s “biberon”), a woman who has watched them grow (in person and through pictures), who has so much love for each of our children, and who has become, over our now three years of friendship, like a part of the family. We wanted to honor her by actually making her a part of the family. For our children, this has the added benefit of a sense of another personal tie to their home country. Though we don’t have contact with their birth families, we at least have frequent contact with their madrina and her large family, and this extended community gives me peace of mind as reinforcements. I have confidence that they will teach me expressions I don’t know, pass on specifically-Guatemalan news and traditions, and look out for the well-being of our children. It’s important to me that our kids grow up eating and learning how to prepare at least some of the dishes that they’d traditionally eat in Guatemala, in addition to the Spanish and American classics their father and I bring to the table. I just think it’s their birthright. I think about how I’d feel if I didn’t have a weakness for manchego or know how to make a mean paella huertana, and it gives me the ánimo to learn how to cook more Guatemalan foods. Admittedly, because our children are still so little and I’m just now getting some peace back in the kitchen, I’m behind in this. But I do know how to make a decent pollo en pepian dulce and a good guacamole. I’m working on the tres leches cake. And, since I had no clue as to how to begin to make these, last Christmas we ordered tamales to eat on Nochebuena. Floor to ceiling in our upstairs hallway, we have what I’ve affectionately named our “origins gallery”: photographs of the places where each of us were born- Madrid, Pittsburgh, Guatemala City, Mazatenango. Already, our children know which photograph belongs to each person in the family and will point them out to visitors. The photographs are some of many other visual artifacts of our origins we keep throughout the house, but maybe the most beautiful illustration of how different pieces can fuse together. Since moving to a new house this last year, we now have Direct TV and can watch not only Spanish language TV, but specifically Guatemalan programming. I admit it, I am a faithful viewer of at least one novela at a time and I subscribe to People en Español and Vanidades. It’s important, I think, for the kids to grow up with these touchstones of pop culture around them: musicians, actors, athletes, news makers- not just from Guatemala, but from Central and Latin America. 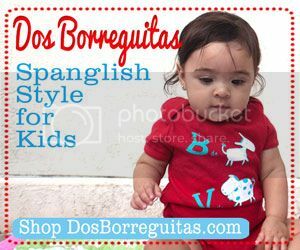 Growing up in the US, they’ll have that without much effort on our part; the Latino counterpart takes more work, but it’s worth it to us so that, as adults, they have a cultural knowledge base that reflects their hyphen. I know this plan of action will look different over the years. The important thing is just having one. I hope, thanks to it, our children will grow up to identify as Guatemalan-born, American-raised people, as bilingual and bicultural. As at home in their own skin and story. 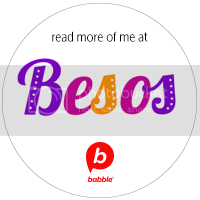 Tomorrow’s Mamás Blogueras post is by Mónica Olivera Hazelton from Latin Baby Book Club and Mi Cielito Lindo. She gives us useful tips on using bilingual and bicultural literature to supplement bilingual education. I’m just in awe… I really am. I’m so impressed with what you’re doing. ¡Buen trabajo! I also admire you for everything you’ve done. And your family photo is just beautiful! Violeta I adore you! The things you are doing are inspirational and such an act of tremendous love. Your kids are very lucky to have such wonderful parents. And I second the beautiful family photo! Wow! I had never read your blog and will now be an avid follower after reading such a compelling and passionate story of dedication to your familia. You are an inspiration for many moms I am certain, and I am pleased to have ‘met’ you via Ana and Roxana’s site. 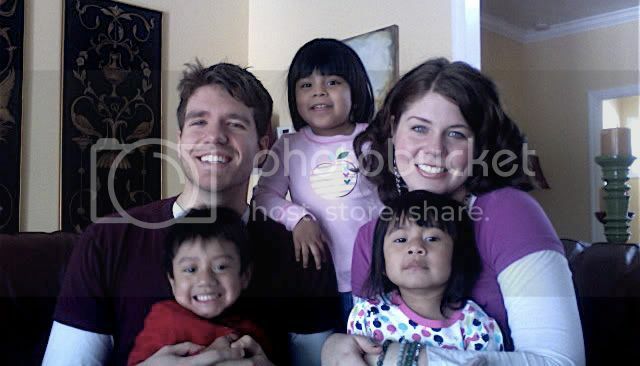 I´m Guatemalan and my husband is Honduran. We adopted two Guatemalan kids. 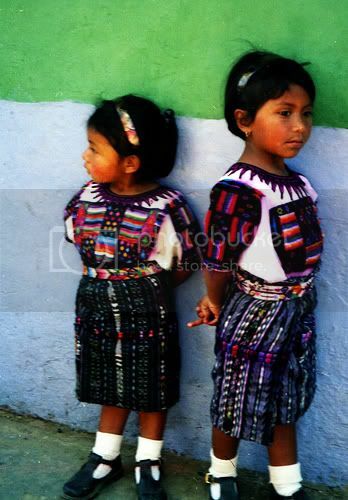 Even though we live in Guatemala it´s been hard for me to organize the family around keeping my children´s heritage, one is Quiché and the other is Tzutujil. Partly, it´s because i´m still struggling with the fact that they are not my biological kids. It´s just hard and complex. I can`t even get myself to visit the sites they were born in. Claudia’s last blog post..¿Y si compramos un arma? Violeta, I am not at all surprised by the lengths you go to for your children. You are inspiring and make me want to work harder. Un abrazo to you and your beautiful familia. What a wonderful job you are doing! Wow! What a great hing you are doing for your kids. what a beautiful family you have! Bravo to you and all you do to cultivate and perseve their heritage. We have many families in our language program with children adopted from Guatemala and it is amazing to see the families bonding and melding cultures. Thank you for sharing your experience! What a beautiful post! I especially resonated with the Origins Gallery. This is such an amazing idea. Peggy’s last blog post..Fresh Spring idea: Plant a Pizza Garden! I think it’s great how you’ve really blended your “blended” family. Your commitment to preserving your children’s culture is truly amazing and well thought out. I’ll def. be reading your blog again. It’s because of families like yours (and mine) that I started my company ?RU. 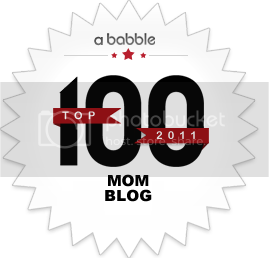 lori’s last blog post..How Many Degrees of Meltingpot are in Your Family?